Best of 2014 x 5! 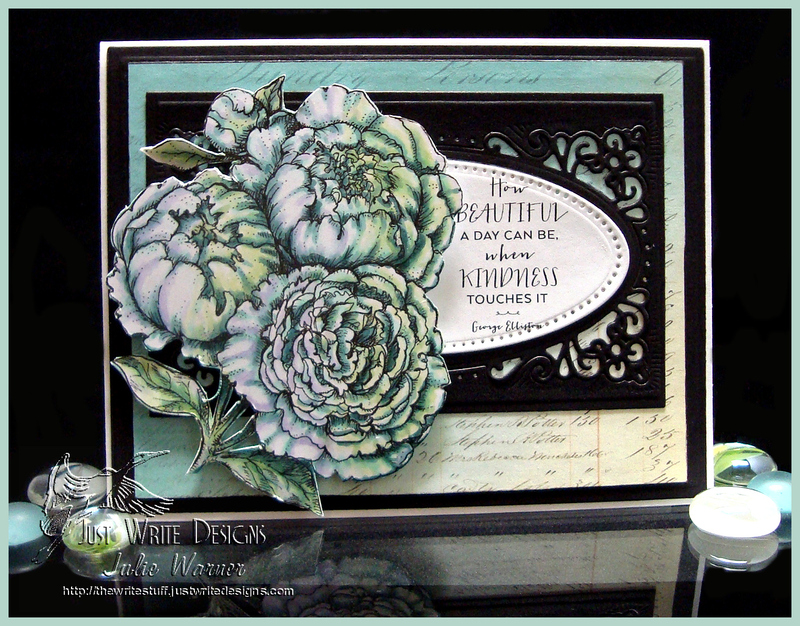 Congrats to Peggy, the newest Featured Stamper on Splitcoast! 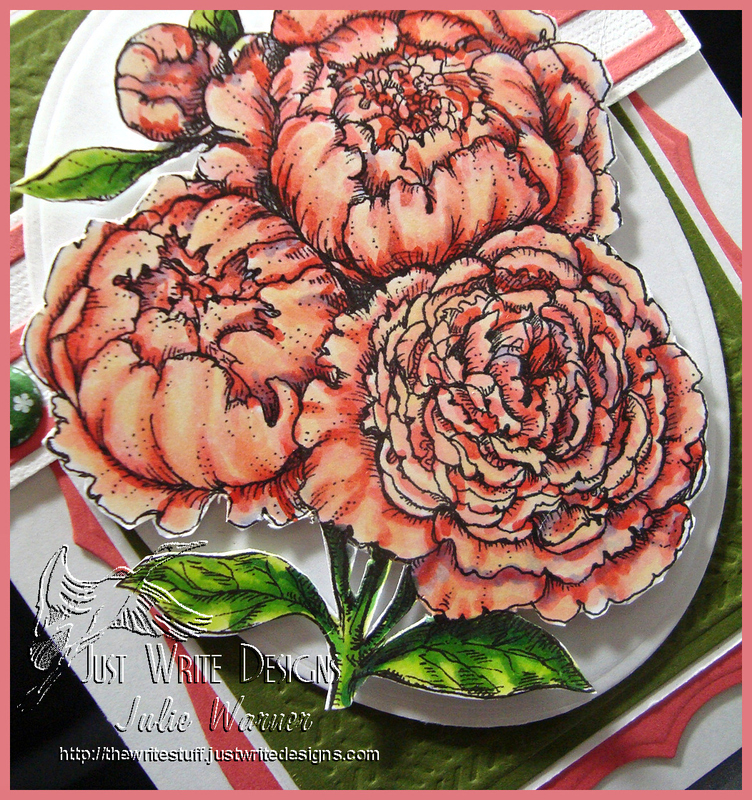 What a fabulous gallery full of die cut wonders! 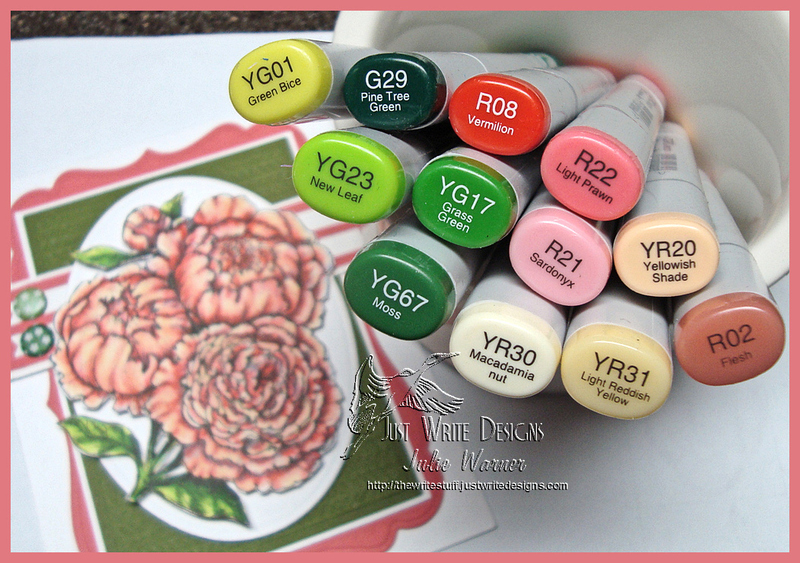 After much browsing, I chose THIS card of Peggy’s to case. 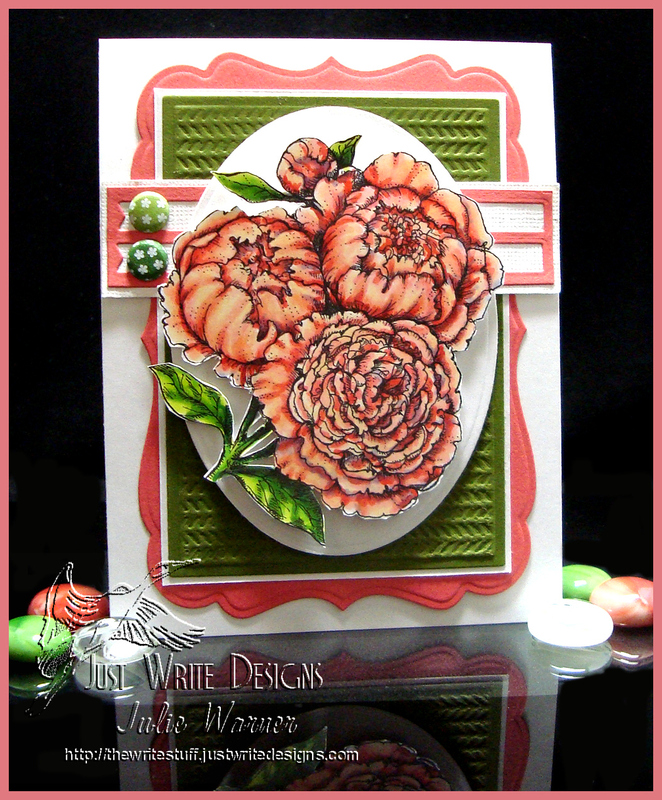 I kept the layout, flowers, and multiple die cuts, but I used different die cuts, a little deeper color and a different greeting. So in trying to keep my CASE in true Peggy fashion, I used a whole bunch of die cuts and only 1 little greeting stamp. I used the Anja corner on all 4 corners of the white panel before attaching it to a wedgewood blue panel. The fancy frame was die cut and I backed it with a larger blue oval before attaching all my little die cut flowers and grass. 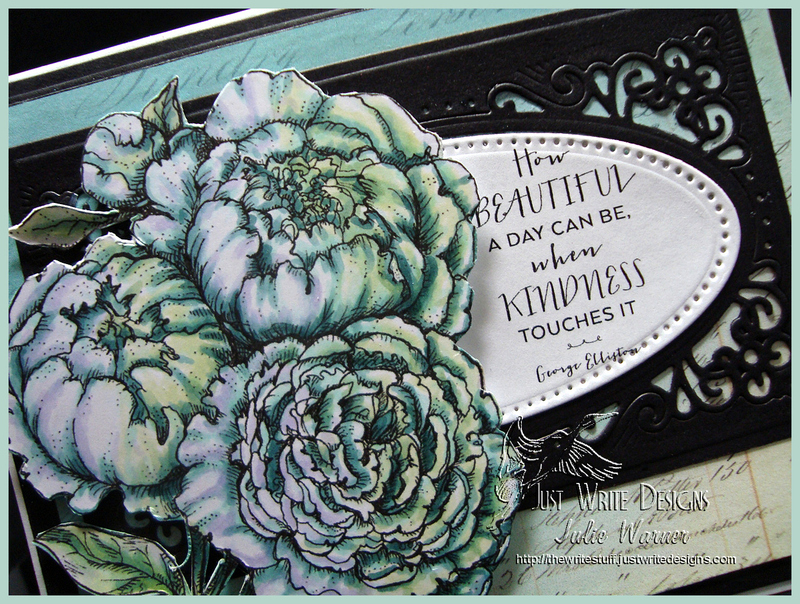 The greeting was die cut using the insert of a Spellbinders tag die and I added a mini flourish around it. Thanks so much for stopping by! Congrats again, Peggy! Happy Memorial Day! 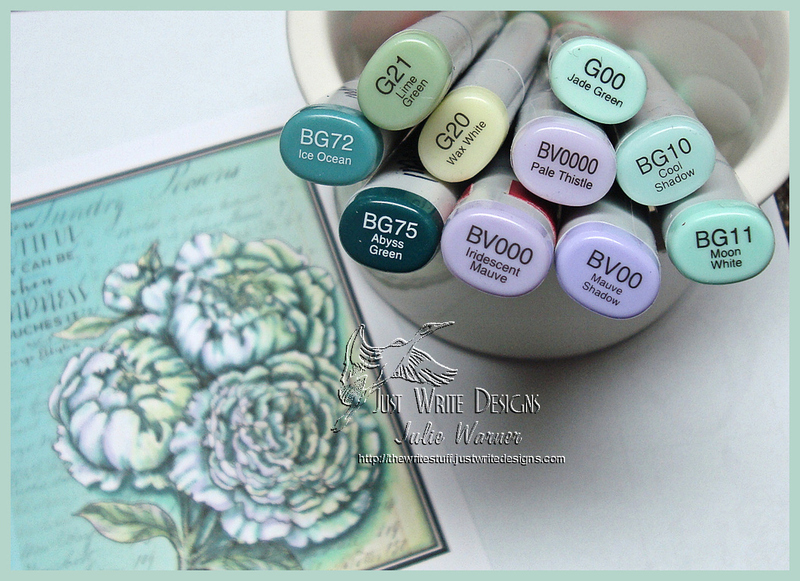 The Sketch Challenge (SC489), is an interesting one. I did tweak it a bit, since the original sketch was square, and the large circle element is a heart shape on mine. 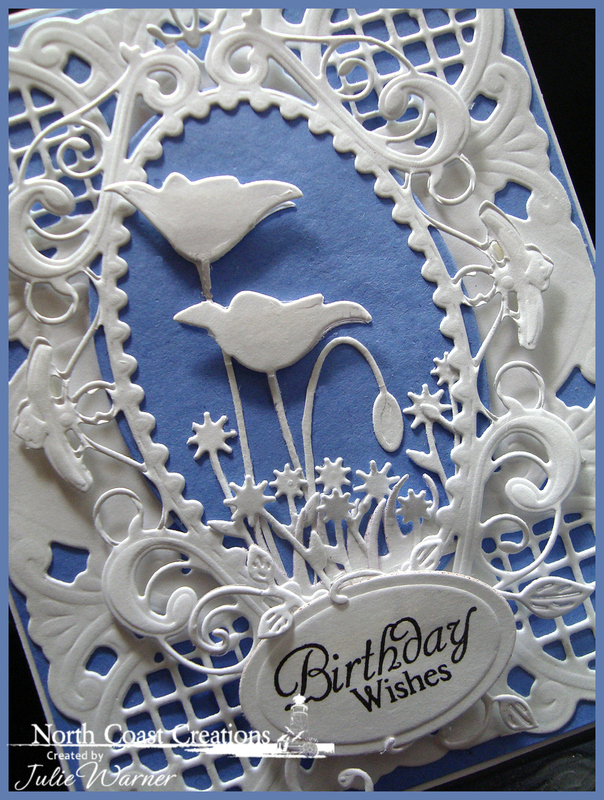 I die cut the two largest and two smallest hearts as well as the lacy border. 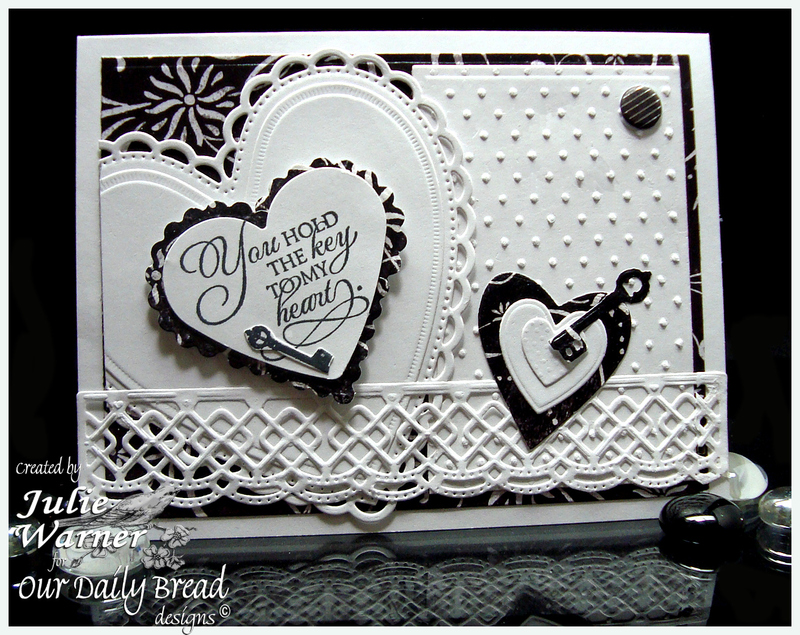 The black scalloped heart layer was made by die cutting the 2 of the smallest lacey circle & 1 of the smallest lacey squares and attaching them to back of the sentiment heart. The sentiment is on a large punched heart. 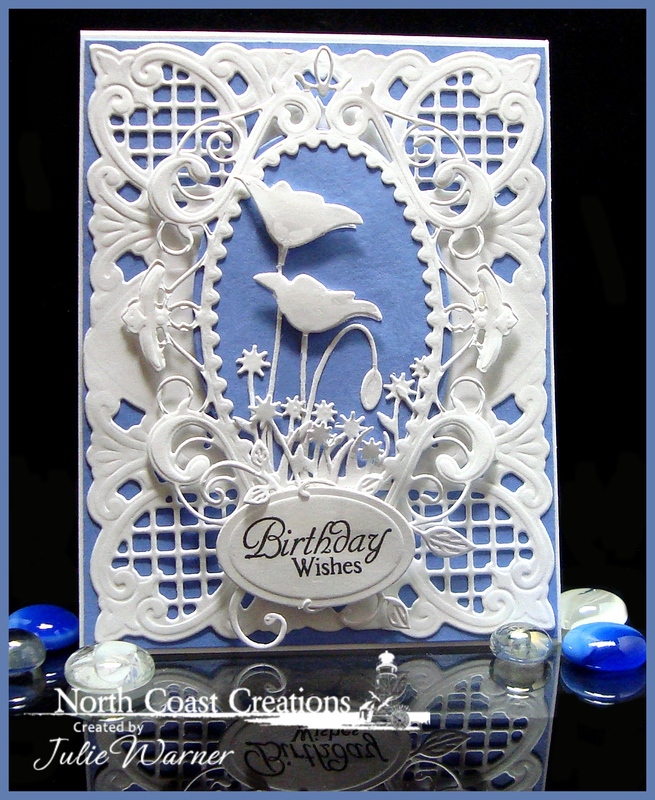 The finished card is 5.50 x 4.25.